Tag Archive | "nuclear power plant"
An angry group of people who are determined to oppose the Indian government’s plan to construct a nuclear power plant in the western part of India set a couple buses on fire and ransacked a hospital. The people of Jaitapur have been fighting against the proposal since the government announced their plans of building the power plant nearly four years ago. Their group did not attract many supporters until the recent nuclear plant disaster in Japan following a massive earthquake and a deadly tsunami. The general strike on Tuesday was called because police officers threatened to disperse protestors after attacking a police station, leaving one person dead. The streets were mostly deserted Tuesday; but at around noon, groups of people gathered in the streets shouting slogans and chants against the Indian government. The police report said that the mob ransacked a government hospital and burned down three buses used for public transportation. There were no reports of death or injury due to the incident. Construction of the first unit of the nuclear plant is supposed to start later this year with a proposed budget of $10 billion. If all goes as planned, this plant will become the biggest in the world. 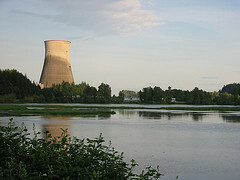 Areva, a French nuclear energy that started this project, is expected to generate 9,900 megawatts of electrical power. The first out of six units is projected to begin producing power by 2018. Jairam Ramesh, Environment Minister, said that what happened in Japan is devastating but it should serve as a wake-up call for everyone to increase security and strengthen contingency plans. However, he insisted that it should not stop India from pursuing cleaner energy source. 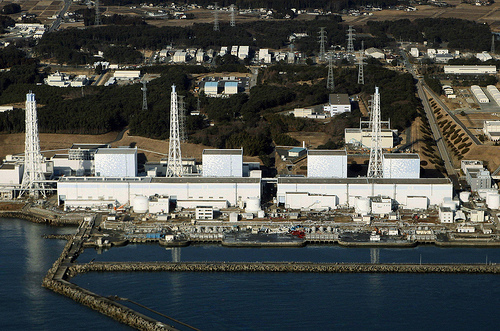 Japan is ready to end pumping radioactive water into the ocean by Sunday, according to a report released by Reuters. This action is expected to help alleviate the concerns coming from Japan’s neighboring countries because of their fear of spreading radiation from the current nuclear crisis in Fukushima power plant. However, there have been problems in restoring Fukushima’s cooling system that might cause more radioactive water to be pumped out into the ocean once the storage capacity of the power plant complex runs out. Japan still struggles to restore its control over the Fukushima nuclear power plant after the immense earthquake and tsunami struck the country’s northeast region on March 11. The country is still facing a massive economic and humanitarian crisis. An official from the nuclear safety agency said Japan’s nuclear crisis is the worst incident since Chernobyl. Nuclear and Industrial Safety Agency’s deputy director-general Hidehiko Nishiyama said they cannot perceive what the outlook of the power plant would be in the future. He said they would like to regain stable cooling and position a path toward regaining control over radiation as soon as possible. Recently, Japan was criticized by South Korea and China because of how they are handling the crisis in the nuclear power plant. On Sunday, Japanese casted their votes in the local elections. Many thought of it a way for Japanese to vent out their anger over how Prime Minister Naoto Kan handled the nuclear crisis. Opponents strengthened as they plan to force his resignation once the crisis in Japan ends. 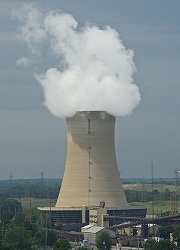 Should We Continue Supporting Nuclear Energy? After what happened to the Fukushima Daiichi nuclear power plant in Japan following the tsunami that hit their country March 11, more and more Americans are concerned about nuclear plants near them. The biggest question in their minds – is it safe? Do we really need it? The need for nuclear power depends mainly on the available natural resources of a country. At present, the United States has 104 commercial nuclear reactors and they supply 20% of our electricity needs as confirmed by the United States Energy Information Administration. That percentage is lower than Japan’s dependence to nuclear energy which supplies for 27% of their nuclear energy needs. Experts said that Japan will have a hard time shutting down its nuclear plants because they do not have natural resources to compensate for the possible electricity loss. Moreover, fuel cost of nuclear energy is low. Aside from the possible risks should another natural calamity strike such as the Tsunami in Japan, one other growing concern about nuclear energy is its tendency to be used for nuclear weapons. That is the reason why Professor Frank von Hippel of Princeton University said that nuclear power should only be used as a last option. He further said that instead of looking for more ways to generate energy, we should focus on energy efficiency instead. We should look for ways to reduce electricity usage so that whatever natural energy source we have, it will be enough for our day to day electrical consumptions.